Molivos (Mithymna or Molyvos) at the northern tip of Lesvos is arguably the most beautiful village of the island with its picturesque harbour dominated by the castle and tiers of red-tiled stone houses climbing up the slopes away from the blue sea. At night, the flood lit castle turns the harbour into one of the most romantic places on earth, perfect for a special dinner-for-two. 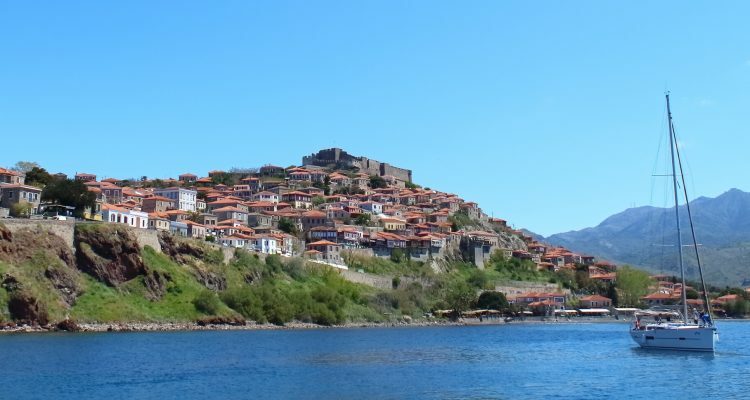 Molivos, the capital of the Province, and the contiguous villages of Skala Sykamnia, Sykamnia, Lepetymnos, Argenos, Vafios and rural area of Eftalou comprise the present Municipality of Mithymna. According to mythology, Mithymna was one of the five daughters of the mythical King Makara. 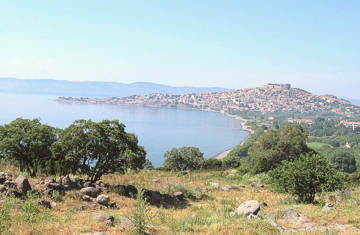 During the middle ages Mithymna takes on the name Molyvos or Molivos. 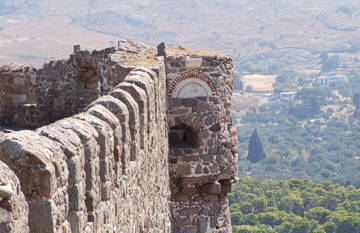 The writing of Molyvos with an iota (i) could be considered the proper way to spell the name, if we were to accept the assumption that the stem of the word is the West European periphrastic denomination Mont d’ olives (mountain of olives). The traditional architecture of the town reflects the modus vivendi and social life styles of the past. In 1965 the competent authorities put a preservation order on the entire settlement of Molyvos (Mithymna), thus declaring it a protected town. Mithymna owns an archaeological collection with impressive findings from the surrounding area, and a library with a collection of over ten thousand volumes and manuscripts. 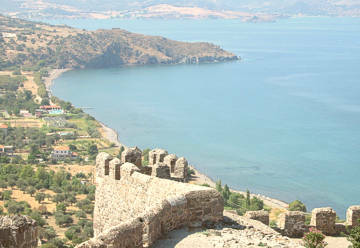 Since 1960, tourist development has played a critical role in the life and evolution of Molyvos. 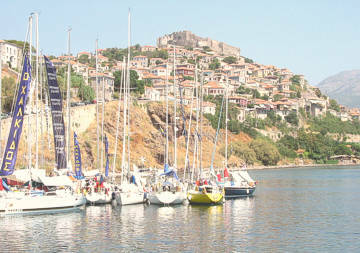 Every year a significant number of cultural events and conferences, both national and international, are held in Molyvos. 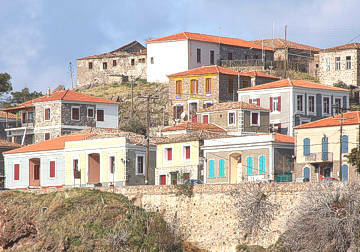 Art exhibitions, lectures, theatrical performances and folklore events are held in the town. 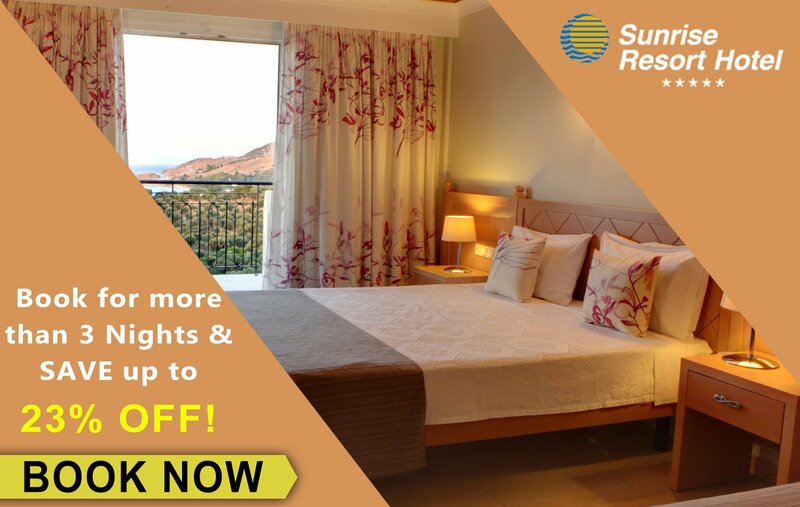 Apart from the tourist industry, the local inhabitants also work in the fishing, olive cultivation, cattle-breeding and farming sector.